#MPFCO 7 1/4" x 8 1/2"
These popular MousePaper® 40 Page 7.25"x8.5" Note Paper MousePads have your message printed on each page. Built with 30% post-consumer recycled paper, these eco-friendly note paper mouse pads are dual purpose giving you the full impact of both a note pad and a mouse pad. While the user makes notes & doodles on your full color MousePaper® mousepad, your branding will be part of the fun. Made in the USA using materials ALSO Made in the USA. 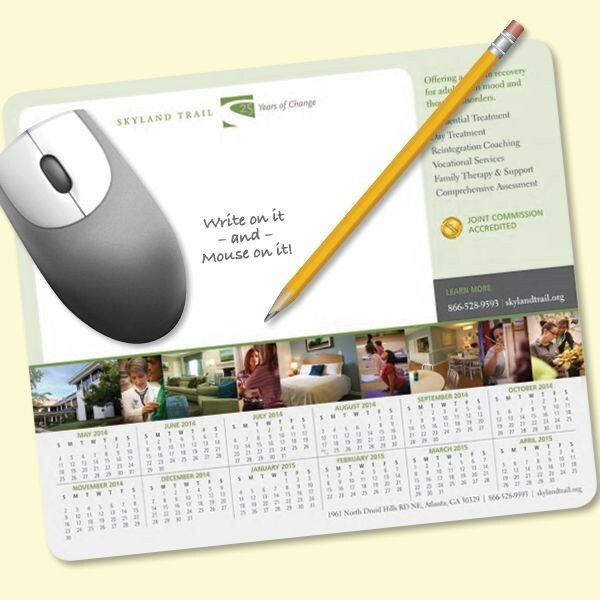 MousePaper® mouse pads are great for any promotion, event, meeting, or gift that needs an eco-friendly item. And, when the mousepad's page is out of space, the user just tears off the top page getting a new, clean sheet complete with your branding. Every page on this note paper mouse pad is like getting a new mousepad with each page turn. Minimum order is 125 pads.